CS200D Catch the Moments Hobby Art Stamps - Stampers Grove is a webshop and mobile craft shop. CS200D Catch the Moments A5 stamp set from Hobby Art Stamps. This Gorgeous clear set contains 16 designs. 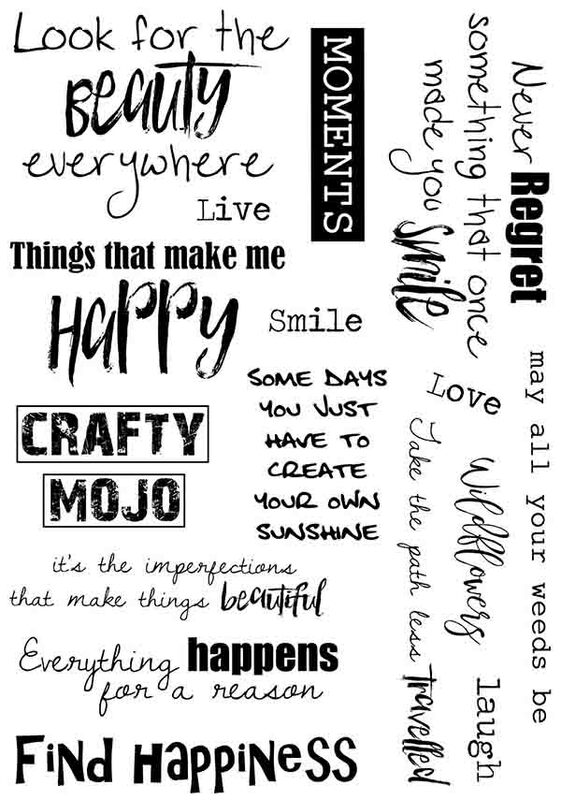 A variety of wordings ideal for card making or art journals.